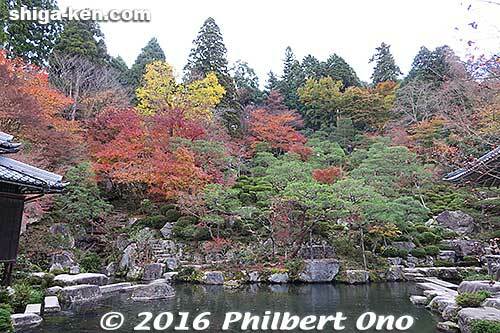 In 2018, the Koto Sanzan autumn foliage season will be November 17th–25th, 2018. 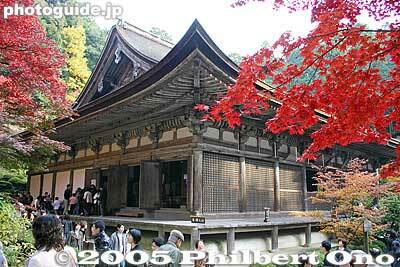 Shuttle buses will run between Hikone Station and the three Koto Sanzan temples. 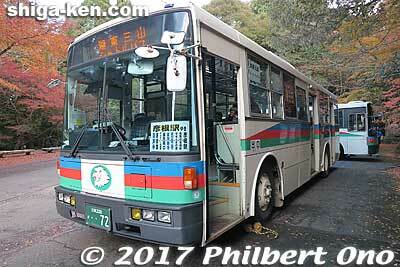 The shuttle bus day pass is ¥1,500 (Momiji kippu) sold at Hikone Station’s west exit bus stop. Although you can pay the shuttle bus fare per ride (costing ¥300 to ¥600), I recommend buying the day pass called Momiji kippu (Maple ticket) for ¥1,500 (¥750 for kids). 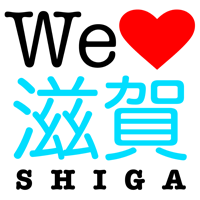 This day pass is good for riding the shuttle bus between Hikone Station and the three temples. Get on and off as much as you like for one day. So you start and end at Hikone Station. The Momiji kippu day pass is sold at Hikone Station’s bus stop at the west exit from 8:30 a.m. to 11 a.m. If you like to take your time (for photography, etc. 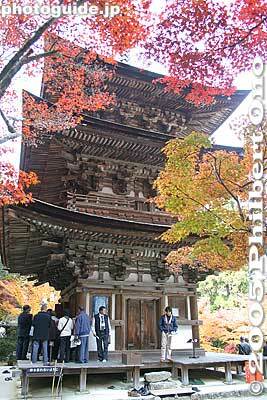 ), you might not have time to see all three temples in one day. 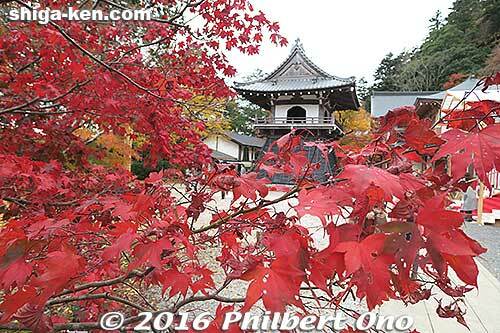 Koto Sanzan Foliage Shuttle Bus Schedule (Nov. 17th–25th, 2018), Hikone Station to Hyakusaiji (read down).